Fred Rogers and his Neighborhood have been a treasued presence in millions of homes for more than 25 years, educating, comforting, and influencing three generations of Americans. 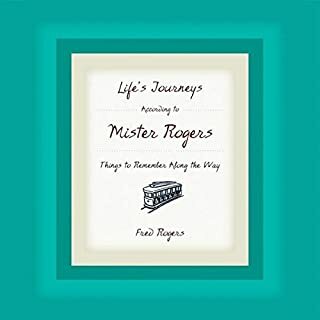 This compilation of his signature wise, succinct thoughts is organized by themes - such as “Relationships”, “Childhood”, “Parenthood”, and “Communicating” - all enriched by personal memories of growing up. His ability to touch all kinds of people will move and inspire anyone seeking straightforward, humane advice on how to get the most out of life. 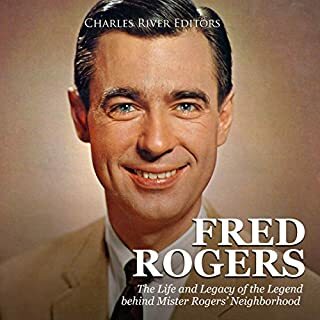 In an age where even the motives of Gandhi and Mother Teresa are questioned by the cynical and they are at times vilified as “frauds,” one would be hard-pressed to find a rational argument against the untouchable character of Mister Rogers. When one does happen upon such an abnormality, the public is quick to defend the gentle soul. “It takes a special kind of scum to hate Mister Rogers,” reads the top comment on the aforementioned video, posted by user Sergei Ivanovich Mosin. The video has been picked apart by multiple journalists from the likes of Huffington Post. 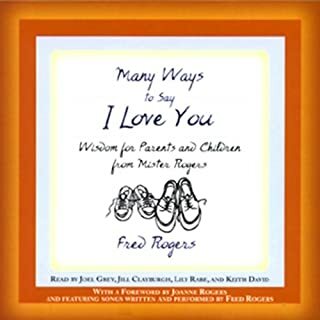 Inspirational words on parenting from the beloved Fred Rogers, showing appreciation for parents whose children are grown as well as giving advice to those parents raising young ones. For all the roads we choose to travel, and even those we don't, Fred Rogers has an observation, a story, some insights to share. 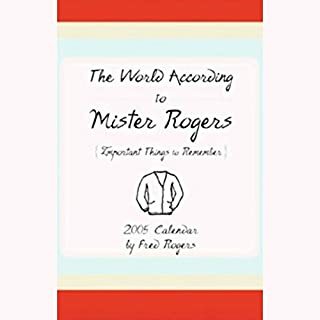 Whether you're facing graduation, a new job, a new baby, marriage, any change in your life, expected or not, the wisdom that Mister Rogers offers can contribute mightily to the grace with which you handle the change. It all comes down to knowing we're valuable, and that we're worthy of that value. As Fred would say, "You don't have to be anything more than who you are right now." It began as another newspaper assignment, a celebrity profile of the children's television icon. But in Fred Rogers, Texas journalist Tim Madigan found more than a fascinating subject. From their first meeting in 1995, at Rogers's invitation, the two became unlikely friends, a deep and abiding relationship that lasted until Rogers's death in 2003. In that time, Madigan found Rogers to be much more than the calm and compassionate personality of television. He was a person of unique human greatness who embodied love, compassion and wisdom his every waking moment. Turn your daily commute into a renewing time with God! Whether you spend several hours a day in traffic or only a few minutes, My Time with God for Daily Drives provides relief from life's traffic jams and detours. With 20 daily devotions, you can listen to one each work day for a whole month. Each day offers a New Testament Scripture reading with an inspirational devotion and thought-provoking questions. A great way to start or end your busy day! Andy Griffith and Don Knotts met on Broadway in the 1950s. When Andy went to Hollywood to film a TV pilot about a small-town sheriff, Don called to ask if the sheriff could use a deputy. The comedic synergy between Sheriff Andy Taylor and Deputy Barney Fife ignited The Andy Griffith Show, elevating a folksy sitcom into a timeless study of human friendship, as potent off the screen as on. Every Day, He Taught God's Message Without Preaching a Word. He was their neighbor, their friend. And for over 30 years, Fred Rogers visited so quietly with the children of America that nobody dreamed he was a Presbyterian minister. Using puppets instead of a pulpit, this icon of children's television shared with America's youngsters the basic principles of the Christian faith - forgiveness, kindness, compassion, respect - and made those values real for his audience. 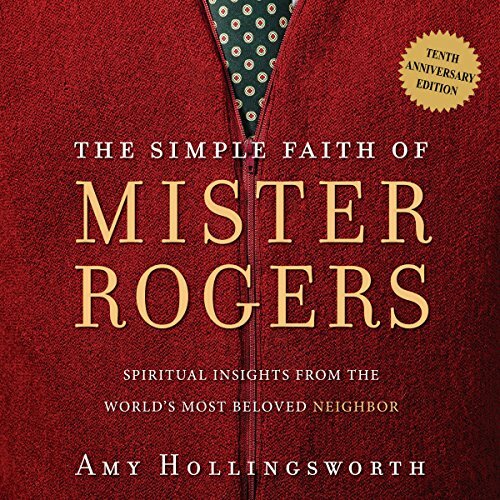 In this poignant audiobook, a longtime friend of Mister Rogers reveals how this extraordinary man touched her and her family through years of correspondence - and takes us beyond the camera to discover the spiritual legacy of a man who, to paraphrase the words of St. Francis of Assisi, preached the Gospel at all times and, when necessary, used words. First of all, I love and revere Mr. Rogers which is why I got this book. His profound simplicity and honesty was nothing short of breath taking. He is not simple in an immature way. He is genuine in a childlike way but he is simple in a way that is the result of consciously tearing away everything that is unnecessary until only the simple distilled core remains. At times, this book will capture a tiny bit of his magic, but not often enough. I didn't care much for the writing style. She tries to get too clever for her own good instead of keeping it simple. Also, some authors really bring their book to life when they narrate their own work. Others not so much. This, unfortunately, is the latter. It's a noble attempt in both writing and narration, but in the end, I only found a few moments enjoyable or insightful. I must say though, that those nuggets were truly insightful indeed. I’m not religious at all and even spirituality is not my strong suit. But on a very sad day, I happened to watch a documentary about Mr. Rogers and I was hooked. I am much too old to have benefited from his wisdom in childhood, but I remembered my years working in a pediatric intensive care unit with children on ventilators, children who were very sick in an environment of beeping machines, needles, strangers. And I remembered the entrancing, calming, mesmerizing effect Mr. Rogers had on them. Thanks s seemed like a good time to look into it a little deeper. The world needs this as a refresher. I absolutely loved this book. It took me back to the why I love Mister Rogers. I loved listening to the personal communication that was exchanged between Mister Rogers and Amy Hollingsworth. I found myself talking about this book all day at work. Co-workers and I shared our admiration of what was brought to us as children and shared our desire to share this love with our "neighbors." God bless you all. I feel peace while listening! I will recommend this book to anyone who's looking for a bit of PEACE! great story of an amazing man that was able to minister through his love. i loved the way the author was able to share her very personal relationship while presenting you with a great overview of Mr Roger's work and mission as a minister. Mr. Rogers was even more amazing than I already thought. The only issue was that it rambled and her voice made me sleepy. Although I never watched the show, I have seen snippets over the years. This man led a life of faith and found a way to share it in the secular world. He is an example of the person I wish I were. The story reminded me to continue to follow that path. I always enjoy it when the author narrates because there is more of a feeling/emotional connection that comes across in the words and expressions. Don't want to be a downer but very disappointed in the audio book. 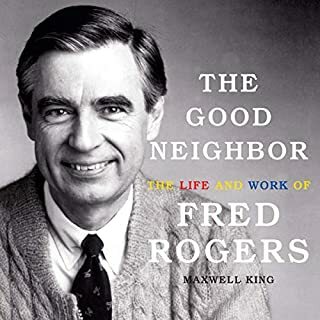 If you want a book about Mr. Rogers and a type of biographical account of his life look for another book. It is more about the author and her thoughts. She interviews Mr. Rogers and then gives her ideas on it. 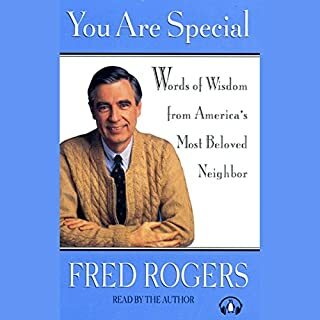 "You are Special" is much better at really looking into Mr. Rogers and his life "philosophies". there is tons of wisdom here and it is packages in a very accessable way. thank you Amy! I am so thankful to have discovered this book. My prayers are that I would have a friend like the author. I was so inspired by her letter she sent to the editor of the newspaper that spoke against Mr. Fred Rogers - by her writing it is obvious that she knew him well. They prayed for one another for over twenty years. She was a great advocate for him - especially giving us a glimpse into the man, behind the neighborhood and puppets. Mister Rogers was such a gentleman- and kind. He meant a lot to me growing up. I could not imagine my childhood without him. Thank you for writing this story. I’ve read others who speak of him, but I felt this book was guided by the Holy Spirit - and was a wonderful memorial of his life.